It's no secret, I love scrubs. I enjoy the exfoliation but moisturising results they can give. This Sister & Co. Skin food product is included in "ASOS Beauty Power Players", what made me want to try this item more was the activated charcoal, it's a messy ingredient there's no two ways around that. 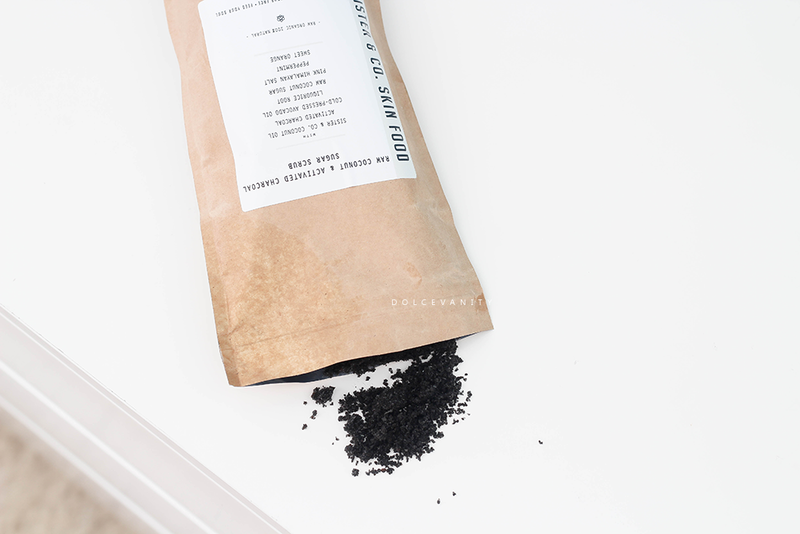 I use activated charcoal to brush my teeth and in D.I.Y face masks from time to time. A UK brand by founder Sophie Thompson, once a lawyer who decided to retrain in natural skincare formulation after a life changing experience whilst on Holiday in India & suffering from skin breakouts. A local lady told Sophie to wash her face daily in virgin (raw & unrefined) coconut oil. After being blown away by the raw coconut oil after seeing her skin's result, Sophie was convinced by the power of raw coconut oil as a skin treatment. Unfortunately unable to find a coconut oil with the same purity, lightness and consistency in London that was the same as found in India, she decided to source it herself. Months of sampling and testing and the oil was found. Sister & Co. Coconut Oil is pressed at a small organic farm in Sri Lanka. - Pure enough to eat. Most these ingredients I already have separately and use, I think the only ones I've not got are the coconut sugar, pink himalayan salt, lemon myrtle & basil oil. Having ingredients that I use and know the benefits for is an added comfort. 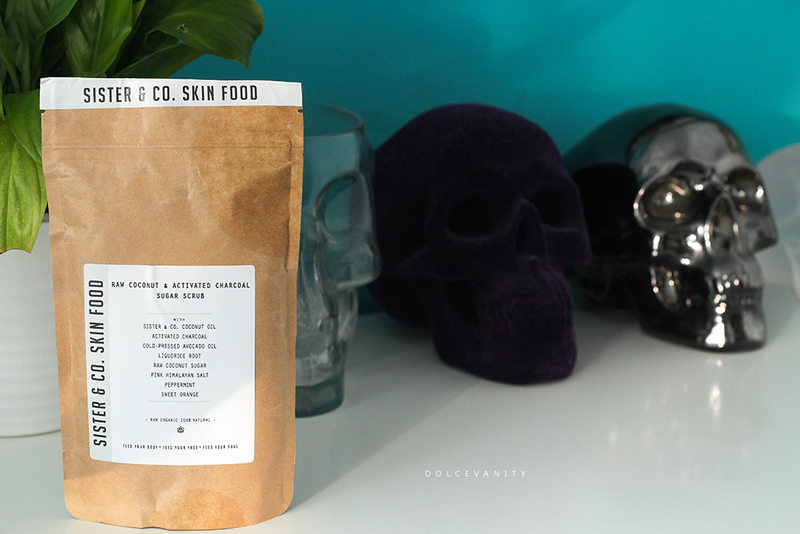 - Purify your skin with this potent detoxifying scrub. - Porous activated coconut charcoal safely draws out skin impurities, helps heal breakouts and reduces inflammation, while liquorice root is a powerful anti-inflammatory and skin toner. - Raw coconut sugar and pink Himalayan salt deliver essential minerals, gently but thoroughly sloughing away dead skin cells. - Cold-pressed avocado oil, sweet almond oil and Sister & Co. Coconut Oil moisturise, soften and provide long-lasting nourishment. - Peppermint and Australian lemon myrtle plant oils energise and uplift and leave you smelling great. - 100% natural and organic. - You can also use this scrub as a great detox face mask. Simply smooth over your face, leave to dry for 10-15 minutes, and rinse with warm water. With no preservatives or water involved and just oils you can imagine how moisturising it is when it's being used. It's quite gritty making it effective with exfoliation, I love the mixture of the salt & sugar within this. The charcoal, first hand experience of charcoal is, it's messy, I always find that it's never easy to just rinse off with water, you'll need a gentle but effective soap / body wash to help remove it just like they recommend. As soon as I smelt it, I could smell the coconut sugar. It reminded me of Caribbean Coconut Sugar cake and I love the smell of that - so smelling the coconut sugar in this, is amazing, making it more enjoyable to use. Simply work this onto the skin in circular motions, paying attention to problem areas. Leaving to dry for 10 - 15 minutes to let the charcoal activate and work on the skin before rinsing off. Using this consistently for 2 - 4 weeks as recommended to see any results. I've been using this for nearly 2 weeks now and I'm satisfied. Maybe because I'm a lover of activated charcoal & coconut oil and the combination in this is bomb. 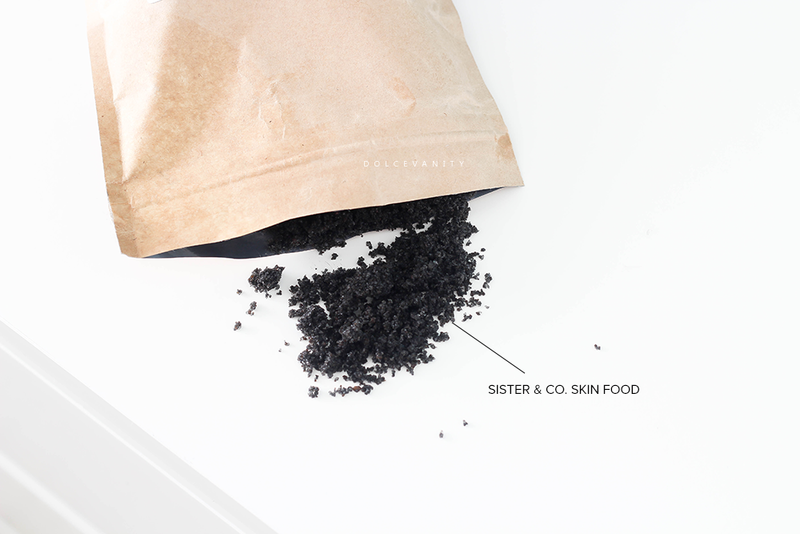 Other products of Sister & Co. that look interesting: Raw Coconut Drink for Hair & Raw Coconut & Activated Charcoal Tooth Whitening Polish. All Sister & Co. formulas are original, created and tested by us, on real people — never on animals. I love the sounds of this. Coconut smells gorgeous, always remind me of holidays ans a natural scrub can only be good for the skin. I've heard so many great things about charcoal scrubs and have been looking to try one myself. I like the look of this one. Oh I do like a goody gritty scrub. I've seen lots of charcoal scrubs advertised and didn't really know where to start...great post!